Intelligent Pressure Control from the pump to the wound site1. 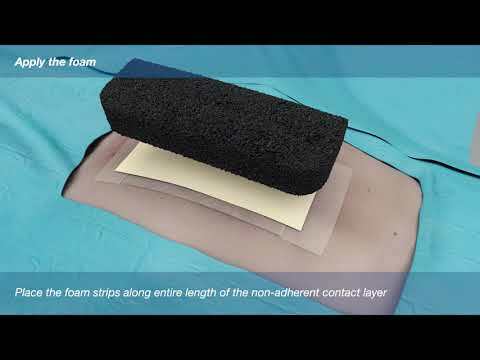 Dynamic Exudate Removal helps prevent blockages from the wound site to the pump1. Secure canister and tubing connection2 with an audible click. Intuitive pump operation and troubleshooting instructions. Compact design for patient comfort and mobility. Clinical flexibility with comprehensive dressings portfolio. Invia Liberty delivers therapy confidence by intelligently controlling set pressure at the wound site. The pump dynamically adapts the air flow cycle to both volume and viscosity of the fluid in the tubing to optimize exudate removal. Click-in canister attachment and one-touch canister release button allow for easy canister exchange. Secure tubing attachment is guaranteed with the new Invia Quick-connector feature. Intuitive and quiet pump operation fully integrates into the patient's daily life, while patient comfort and mobility are facilitated by Invia Liberty's compact design and convenient carrying case. Pressure options from –40 to –200 mmHg including standard –125 mmHg. Custom air leak modes for normal and large wounds. Choice of 300 ml and 800 ml disposable canisters with solidifier. Convenient carrying case for easy canister exchange. 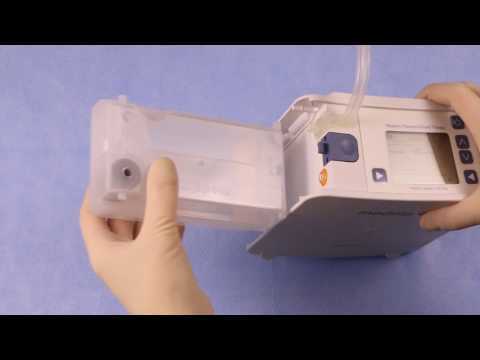 Simplify the management of therapy with confidence using the Invia Liberty NPWT System. This simulator helps you become familiar with Invia Liberty and its advanced functions. Two available sizes (300ml and 800ml) for maximum flexibility. Bacteria carbon filter prevents overflow and odor. Built-in solidifier for convenient disposal. Double-lumen tubing for intelligent pressure control and dynamic exudate management. Tubing with Quick-connector for easy and secure attachment. Designed for discreet and convenient pump transportation. Easy opening for canister changes. Accessible display even when the bag is closed. Only use Medela provided power supply with Invia Liberty devices. Convenient placement and removal for easy pump charging. Can be placed on level surface or clamped to a rail.